Over the years, one of the cars Overton Car Sales gets asked for a 'Small Diesel Automatic with 5 Doors and Air Conditioning'. Traditionally, this is a specification that is only available on much bigger cars, and a search on Autotrader of nearly 400,000 cars reveals less than ten diesel automatic cars, under 1,300cc. Overton Car sales is currently offering just such a car. 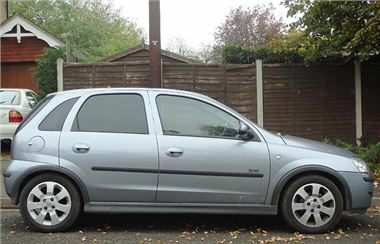 This 52,300 mile 2005/05 Vauxhall Corsa 1.3 CDTi SXi 5 Door is sure to be a real find for somebody who needs a small car, but with the virtues of Diesel Economy and Automatic Transmission. This Corsa Diesel will be an ideal car for anybody who commutes in traffic, or simply enjoys the comfort of an automatic without driving a large car. In addition to this, the Corsa SXi CDTi Easytronic is an Insurance Group 3, will cost only £30 for a Years Road Tax and has a EC Fuel Consumption figure of 64.2 MPG (Subject to driving conditions). The SXi Specification has always been one of the Corsa's most sought after trim levels, with features such as Front Foglights, Remote Central Locking and Leather Steering Wheel. This also has the desirable option of Air Conditioning, which was an extra cost on the Corsa SXi when new. The car will come with a new 12 Month MoT. If this car might be the one for you, just give us a call on 01283 736254 and we will be happy to arrange a viewing. Overton Car Sales is the used car division of UK Car Broker.